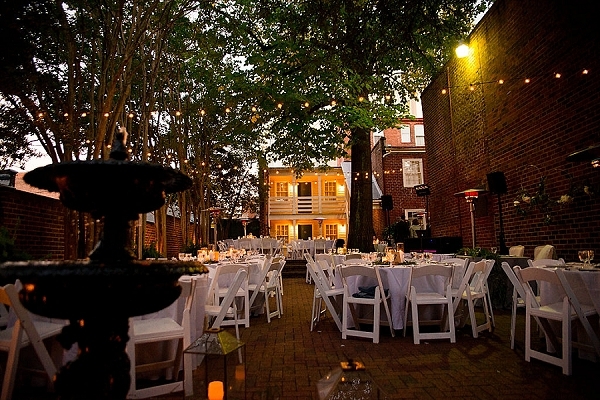 There are venues all over eastern Virginia that we have fallen in love with, but this charming location in Richmond has us wanting to plan a wedding underneath the city stars! 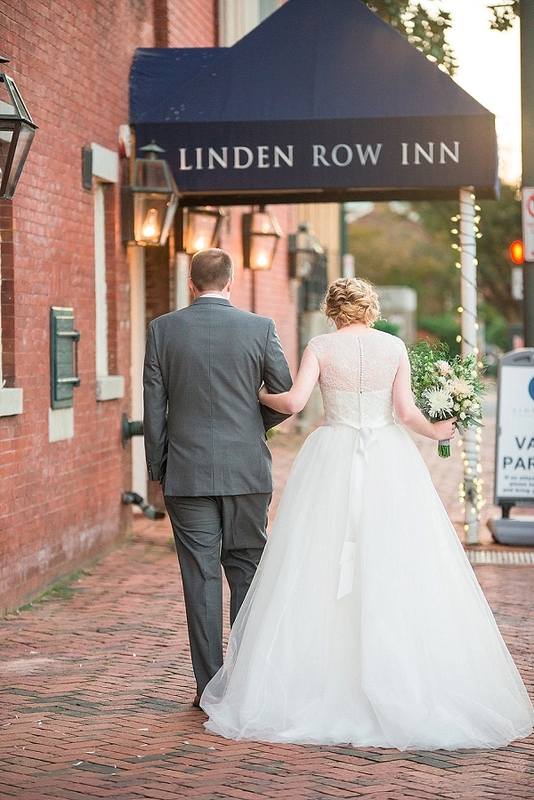 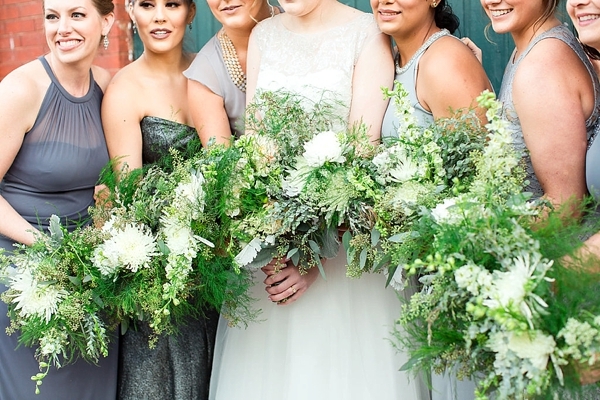 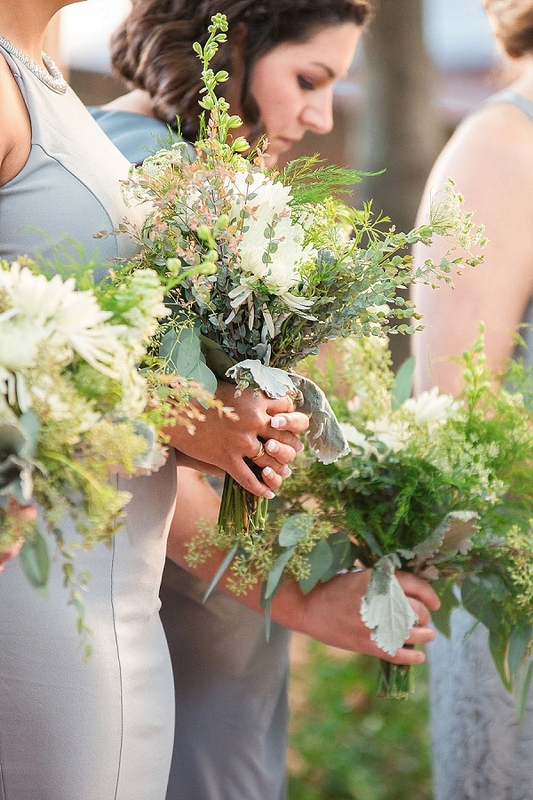 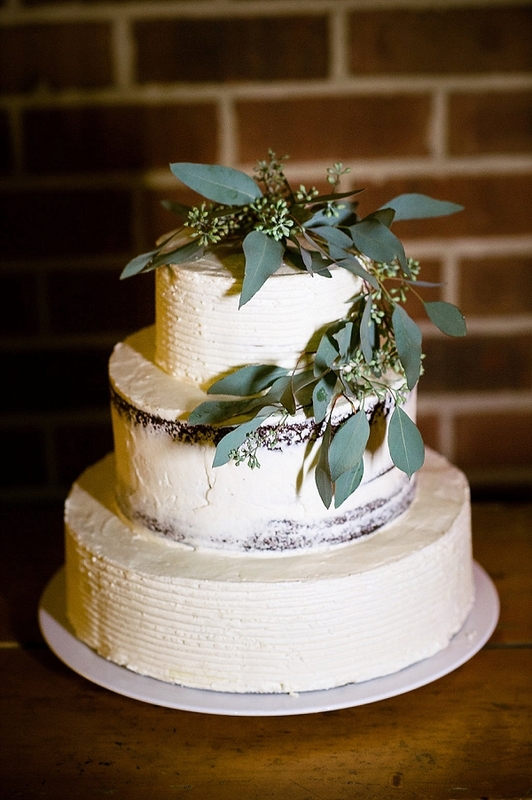 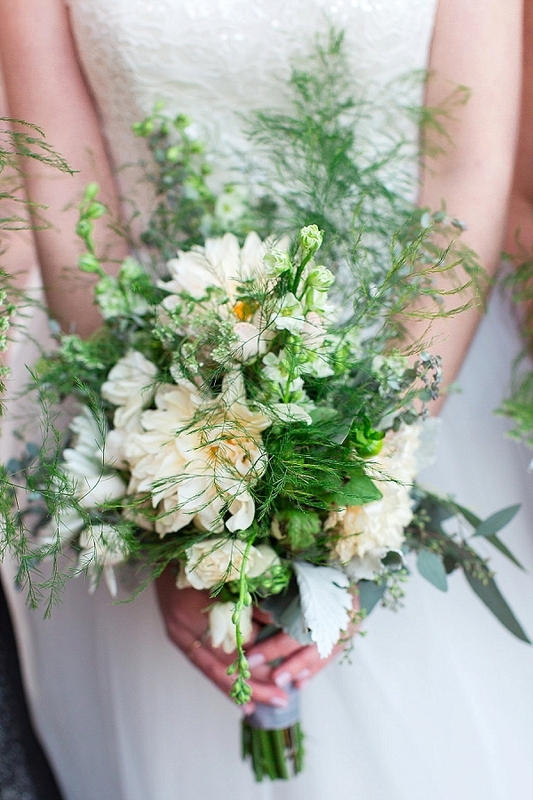 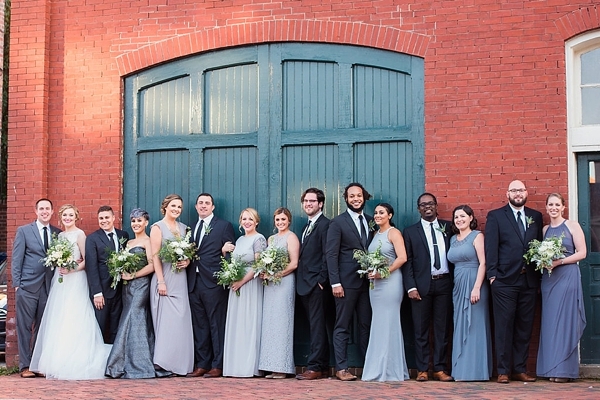 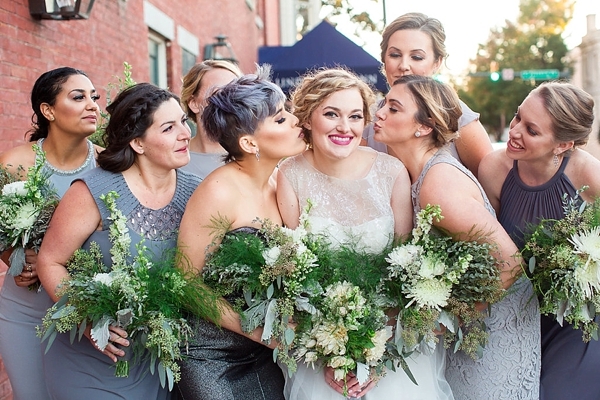 Captured by Sterling Life Photography, Ruie & Grace designed a gorgeous day with shades of grey accented by beautiful fern greens and small pops of ivory for Hannah and Keith at the Linden Row Inn. 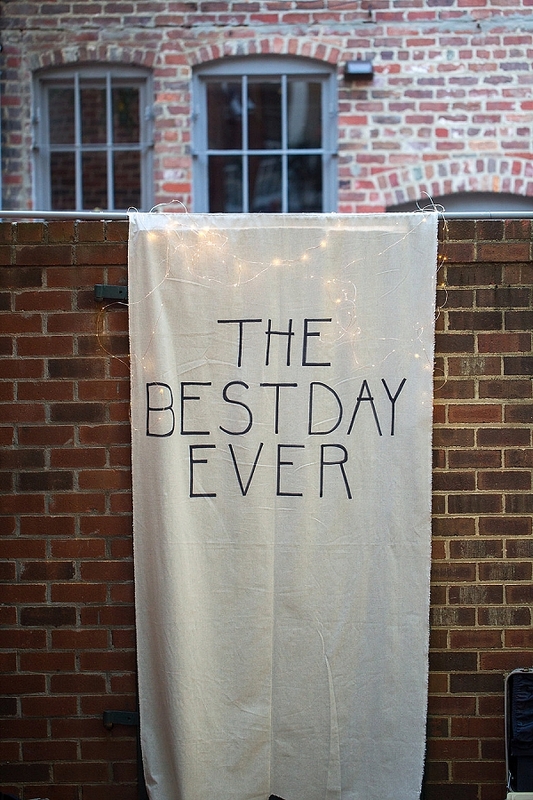 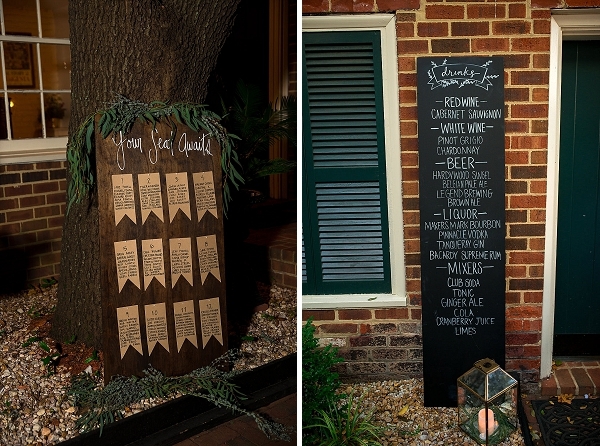 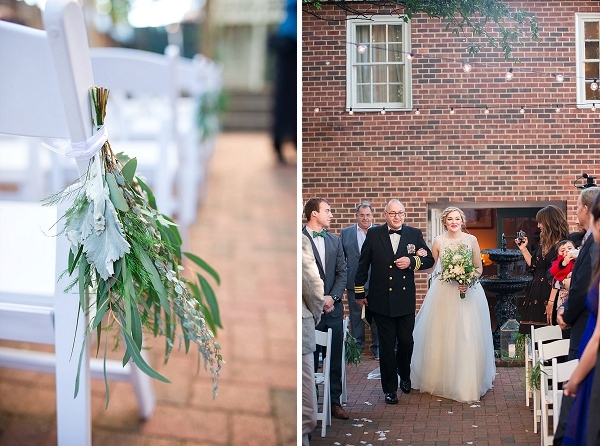 Full of smiles and joy, these two lovebirds shared vows with each other in an intimate brick courtyard space adorned with hand-painted signs, dreamy bistro lights, and urban vibes. 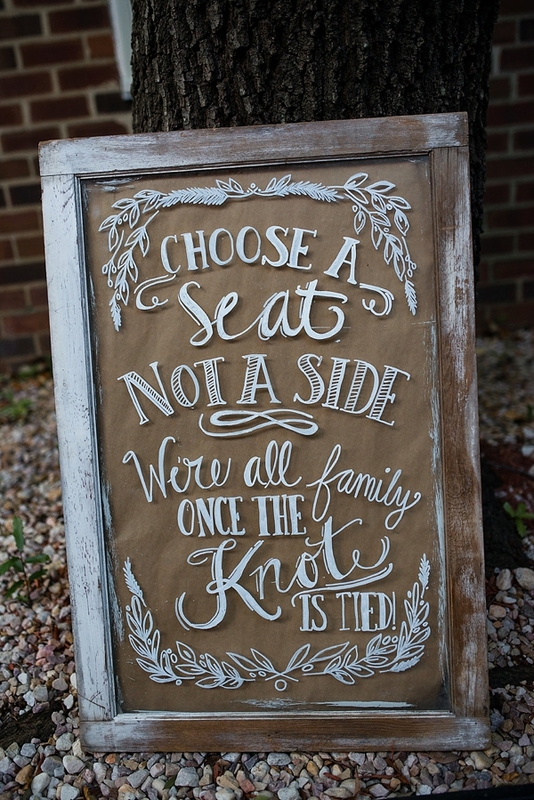 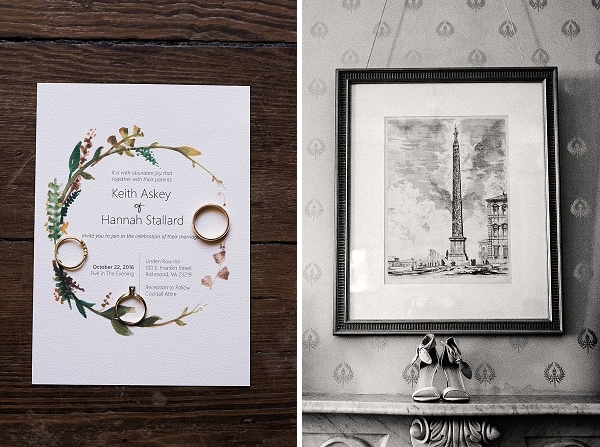 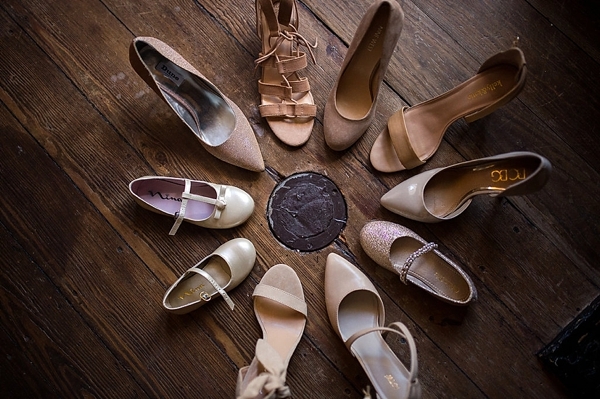 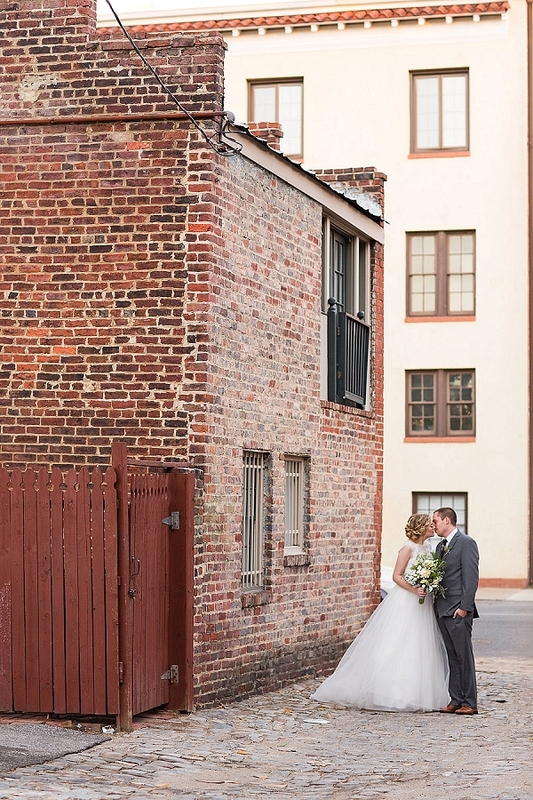 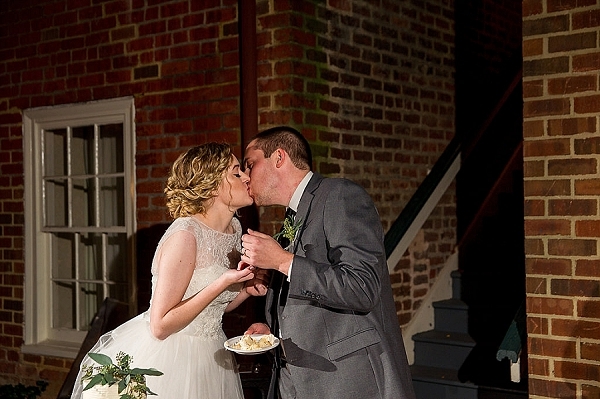 Nestled right in downtown Richmond, Hannah and Keith's fun, laid-back style was the perfect complement. 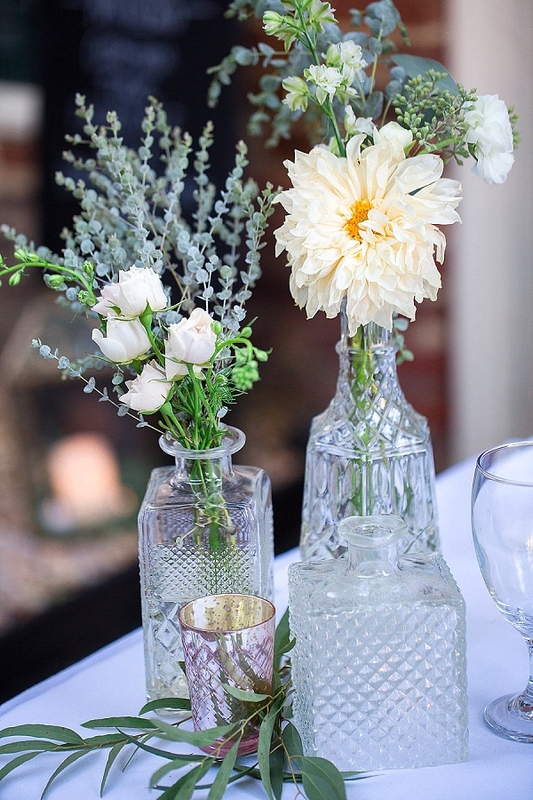 We especially love the eucalyptus-topped semi-naked wedding cake and the perfectly mismatched glass decanter bottles for their wedding centerpieces! 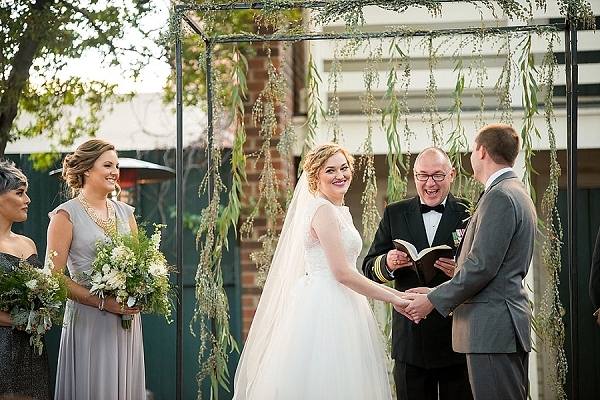 As the day turned into evening, the wedding day team worked hard to create an evening reception as beautiful as the ceremony. 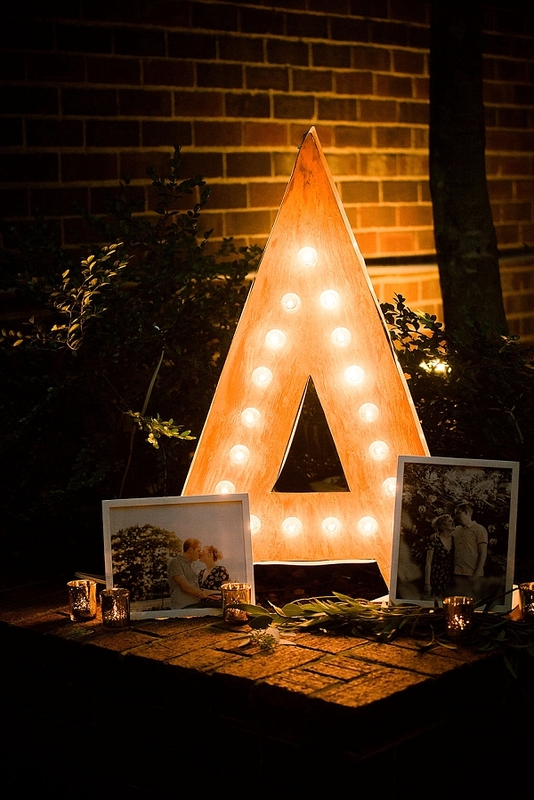 From a modern wooden marquee letter to a chalkboard wine list for guests to peruse, each stylish element flowed perfectly to the next. 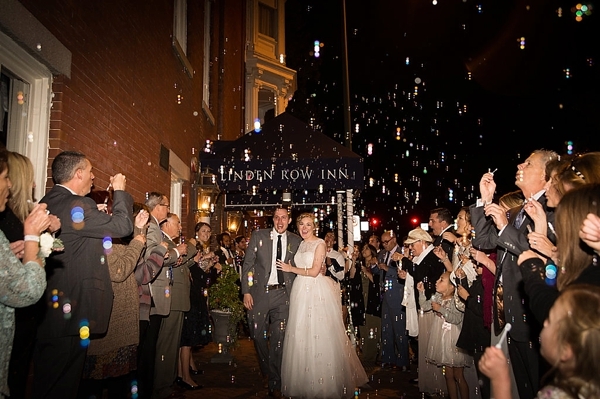 And as Hannah and Keith exited amidst bubbles, friends, and the starlit sky, their new chapter as husband and wife was only just beginning.